You'll will be learning how to roll a cone, how to mix the henna + practice the technique of draping. You will also get a chance to practice the basic shapes + how to put them together to create henna designs. Holly Ferreira is a local artist, teacher, and dancer who focuses on empowering women all around the state. She began doing henna 10 years ago at India Restaurant, where she was the featured dancer every weekend. It brought her to doing festivals, and various parties and events all around New England. She has learned about the history of henna, as well as many different styles. 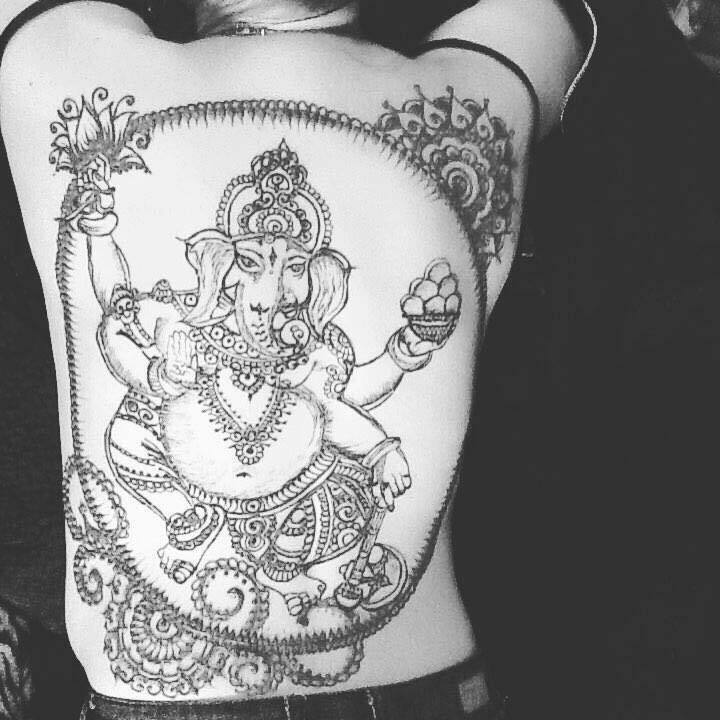 She only uses all natural henna, When not taking care of her family, working, or teaching, she is consantrating on her Life/ Empowerment Coaching business. She does everything in her life with a healing energy and love in her heart.